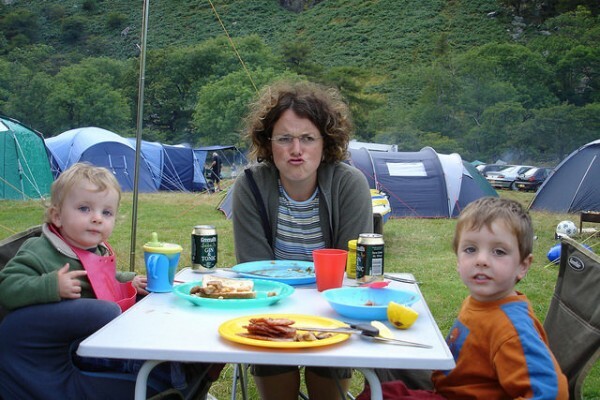 There I was, looking forward to a weekend of campfire songs with the kids, forest jaunts with old friends, burnt sausages and not terribly comfortable sleeps, when it turned out that wasn't actually the plan at all. The actual plan was to be blue-lighted to a hospital’s cardiac unit for ECGs, chest x-rays, blood tests, and a whole load of other explorations to find out why my heart had decided to take the day off. To cut a long story short, my heart is fine and I need to do a bit more relaxing and less running around. Sound familiar? The funny thing was that, during this highly unusual episode for a forty something (ahem), fairly fit person, we also found out that I was highly allergic to morphine. Luckily I had a superb rugby-tackling paramedic who saved the day, but what a shame! Everyone had told me how wonderful the drug is and I had been looking forward to a good morphine opportunity for years. Hey ho. What was rather more disconcerting was that, whilst lying in my rather uninspiring A&E cubicle, listening to the dulcet tones of its various intoxicated inhabitants, I became acutely aware of the unfortunate way in which each patient was gradually being stripped of their integrity. Now, I do have just enough brain cells left to realise that an A&E ward is not intended to be a deluxe, five-star hotel. But just imagine if it were. The screaming toddler in the next cubicle to me with only an old plastic rattle might have some soft toys, calming clay and gentle musical mobiles more appropriate for their needs, resulting in slightly less stressed parents. The desperately embarrassed young lad left for hours with nothing on but an ill-fitting gown, on a trolley outside my open cubicle, would be able to don a freshly washed dressing gown and read a magazine to distract his mind whilst waiting. The confused older lady in the cubicle across the way would not be alone or scared because the nurse would have time to explain things over a nice cup of tea (sometimes more than once) without any frustration and at a speed she could take in. We would all be looked at first in the eye rather than at our tags, have our identity validated by being called by our first name, have our basic needs met by being offered food and drink if our situation allowed, and be communicated with regularly as to the next stage of our journey, even if that was just to relax and wait a little longer. No-one would walk in and out of our room without any introduction, read our personal data, make judgmental hums and hahs, and walk out again with a resigned sigh, leaving us confused at best or in a deep state of doubt at worst. Recently at the superb Thinking Digital conference, I met data artist, Jennifer Marone who has posed an interesting question about the value we put on our identity. Scroll down on Jennifer’s site to watch the video explaining why she has made a conscious decision to incorporate herself with a view to capturing, controlling and making money from, all the data about herself. I realise this isn’t the point she is making, but I would be very interested to see how much wealth Jennifer can create on her data alone as it strikes me that the point of list-building by corporates is to measure patterns of massive data groups in relation to each other, in order to define the most effective methods of financial manipulation. So much of our identity is defined relationally, i.e. in our relationships with other people, places, objects and activities, that I can’t imagine it being worth much to commercial companies in isolation. However, our identity should be worth a great deal to ourselves (in an emotional, physical, social and cultural sense). But often, unfortunately, it isn’t. Like teachers, nurses are extremely starved of the time, resources and environment required to enable them to do their best, to achieve their highest potential, and to enable their patients to progress to mental, physical and spiritual health as quickly as possible. Like a creative learning environment, a creative health environment has to have the basic elements in place that we have seen time and time again (evidenced through Maslow’s Hierarchy) as being essential for healthy growth and development. These might include low noise levels; privacy and space to feel safe and become attuned with your situation (including control over who enters your space); a sense of respect for your identity (acknowledgement of you as a human being with needs, feelings and questions rather than an unidentifiable patient); effective communication (which requires more than the odd grunt from the anaesthetist or the ignoring of the constant anxious question from exhausted patients of ‘will the doctor see me soon?’); and an opportunity to receive basic nourishment to help fulfil those who haven’t eaten for hours due to their situation. These are very basic needs that, when fulfilled, I think would make a massive difference to the feeling of integrity held by patients - adults or children. It would surely influence a more positive response to their intervention, leading to happy, healthier bodies and minds. After all, we know from Daniel Goleman’s work in emotional intelligence that a child or adult demonstrating negative behaviours is often the sign of an unmet need. Whilst acknowledging the challenges we face in early education (ratios, large class sizes, increases in special educational needs, language barriers, lack of specialist support), I still think we can meet those needs better than we are doing with very small changes to the environments in which we work, and reduce the escalation of those needs into our own educational A&E wards.